The Porcupine Mountains Wilderness State Park offers some of the region’s best backcountry trails, and the day hiking options are almost endless. Our lodging properties surround the park and make the perfect base camp for exploring backcountry lakes and waterfalls. Here are a few good trails for day hikes in the Porkies. This trail on the park’s east side will take you to a backcountry gem. It’s not the most well-known trail in the park, but it’s one of the most beautiful. Lost Lake is a true wilderness lake and a worthy destination for a hike. The trail follows the course of Lost Creek, running from South Boundary Road to additional hiking options on the Government Peak Trail. Discover dramatic views and experience old-growth forest on this trail that’s located on the park’s northeast side. The hiking is challenging, with some steep segments, but the effort is well worth it. Spring is an ideal time for this hike—lace up your boots because the trail might be wet or snow-covered. Union Spring is the second-largest natural spring in Michigan and it’s an impressive sight. Walk out on the dock to watch more than 700 gallons a minute bubbling from the ground. Hikers seeing a challenge will find it on this trail, which is one of the park’s most dramatic hikes. It follows the escarpment ridge from Lake of the Clouds to the Government Peak trailhead. Hikers are treated to impressive vistas of Lake of the Clouds and the surrounding landscape. 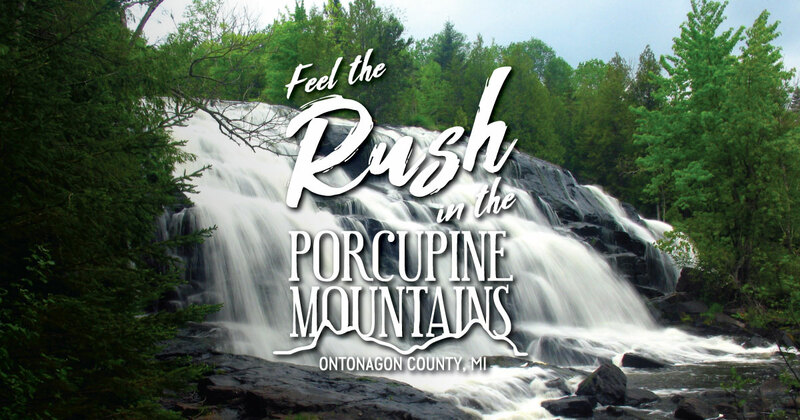 Learn more about hiking in the Porcupine Mountains and Ontonagon County.